Ladies, picture your mother, grandmother, daughter, sister, niece, two best girl friends and yourself. Statistically speaking, at least one of you will develop breast cancer. Men, consider the same group of people and this time throw your girlfriend, fiancé or wife in there. That may seem like a terrifying, fear mongering statistic, but it’s why we fight. Breast cancer is the most common cancer in women in the United States, and almost no one can say they don’t know anyone who has faced it. As October comes to a close, there may be some people who will breathe a sigh of relief that they can now enjoy 11 months without seeing the world splashed in Pepto-Bismol. And even though the market is saturated with breast cancer awareness efforts, a cure still eludes us, which means it’s still a cause worth fighting for. 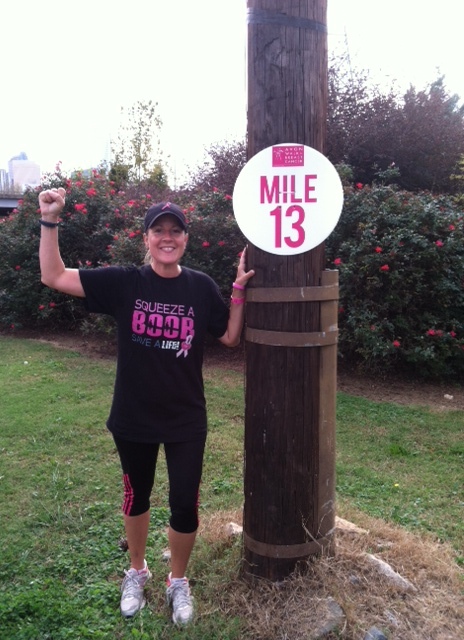 One of FSI’s own, Lisa Pack, participated in the Avon Walk for Breast Cancer this past weekend in Charlotte. This month we made a pink glove video to help raise money for Lisa’s walk. If you haven’t already seen it, you can view it here. This event is one of nine Avon walks that take place around the country to raise money to fight breast cancer. 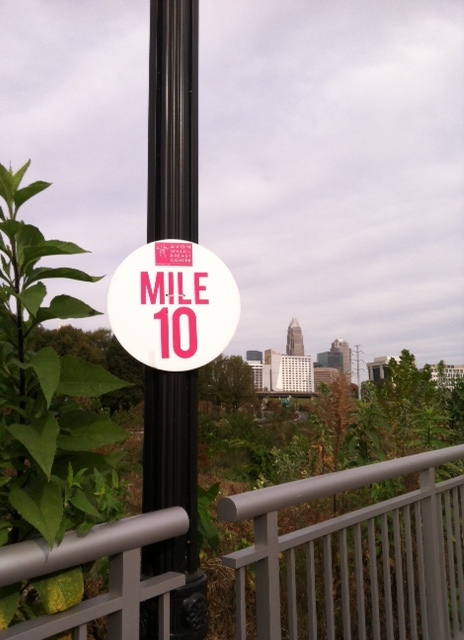 This year’s Charlotte walk raised 1.75 million dollars! This isn’t just your typical 5k fundraiser walk, this is a major commitment. Each walker commits to raising $1800 and covers some serious ground over the course of two days. 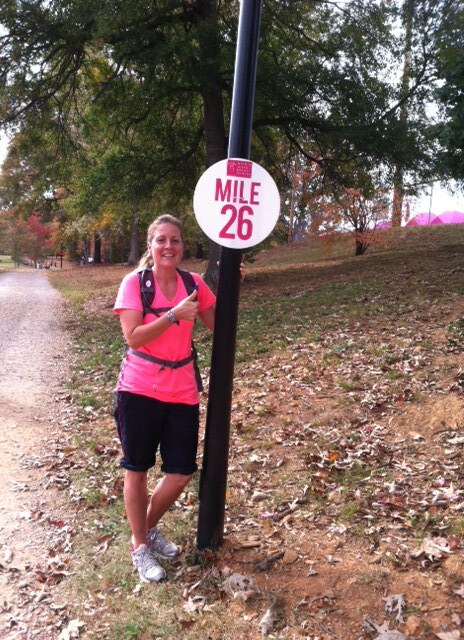 The full course is 39.3 miles; that’s a marathon and a half! As I talked with Lisa this morning she expressed such joy and satisfaction with having participated in something so monumental that will undoubtedly impact many individuals fighting this disease, even if every inch of her body is exhausted. For Lisa, her reason for walking is two-fold. 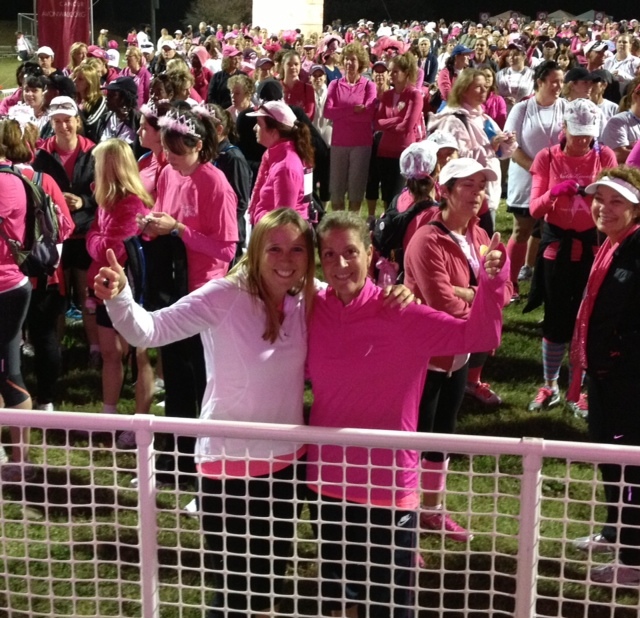 Her grandmother lost her battle to breast cancer 16 years ago, so she walks in her memory. She also has a 10 year old daughter, who she hopes will come of age in a world where breast cancer is no longer an issue. She walks for the memory and the future. Lisa completed 26.2 miles in 8 hours on Saturday and finished the remaining 13.1 miles in 3 hours and 45 minutes on Sunday. In her nearly 12 hours of walking she said it was a great time to think and reflect on what she was doing. 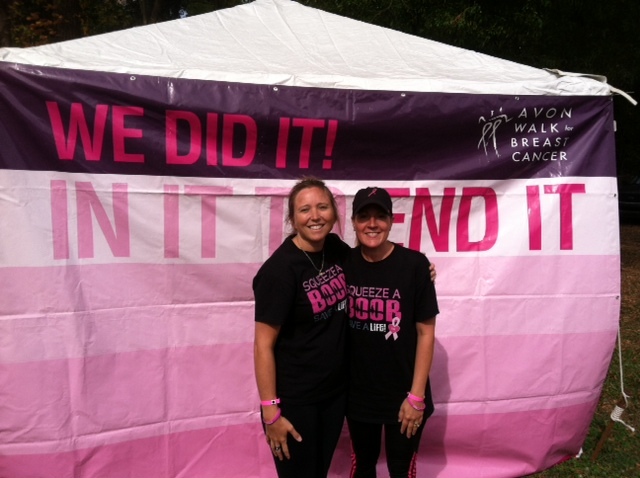 This was Lisa’s first Avon walk and she plans to participate again next year, with the hopes of putting a whole team together. With such a big financial and physical commitment, it’s important to start early, so if you’re interested in joining a team, you can contact her at lisa.pack@formsandsupply.com. As October comes to a close and the pink slowly fades from our sports teams, tshirts and bumper stickers, don’t let it fade from your mind. This disease is far too common and will inevitably have an impact on your life or the life of someone you know. The more money we raise and the more awareness we create, the closer we get to a cure.